Deacons are an important part of the working program of the New Testament Church. A proper understanding of their responsibilities is vital to the success of church growth. Although the Bible has relatively little to say about deacons, sufficient information is given and adequate guidelines are defined to produce the logical conclusions concerning the authority of deacons, their qualifications, the process of selection, their assigned duties, and the performance of those duties. The application of these principles will help avoid both of two extremes, either making deacons the same as elders and overseers, or letting them be deacons in name only, accomplishing very little. The term which is translated "deacon" is from an original word which means "servant." It is defined as "one who executes the commands of another. . . a servant, attendant, or minister" (Thayer). The original word, in both noun and verb forms, appears over 90 times; however, the specific rendering of "deacon" occurs only 5 times in our basic English texts (Philippians 1:1; 1 Timothy 3:8,10,12,13). Elsewhere, the term is translated as minister, servant, ministering, ministration, to minister, serving, service, to do service, relief, administration, minister unto, minister to, administer, and serve. In every place where the word is used, whatever the form, the idea of "service" is presented. That God has authorized deacons in the church can be easily seen. The specific "office of a deacon" is identified (1 Tim. 3:10,13). An outline of qualifications is given to instruct the church about the type of men needed (Acts 6:3; 1 Tim. 3:8-10). 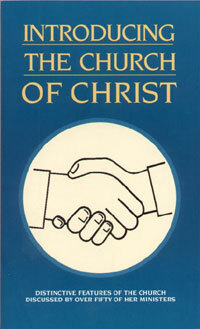 The early church was commanded by the twelve apostles to select and appoint men to serve in this capacity (Acts 6:2-3). And some, who were serving in the church at Philippi were included in the salutation of Paul's epistle to that church (Phil. 1:1). Although the qualifications of the deacons are not as strict as those of elders, they are, nevertheless, quite important. The word "likewise" (1 Tim. 3:8) indicates that it is just as necessary for deacons to possess the specified qualities for the office of service as for the elders to have the qualities of leadership. The required traits which are listed in two passages of Scripture (Acts 6:3; 1 Tim. 3:8-10,12), deal with three concepts: character, ability, and relationships with others. Grave. There must be a high degree of maturity which produces balanced, serious thinking. Not double-tongued. Integrity is a key. One must be honest with all people at all times, never being two-faced. Not given to much wine. At a time when little water was used because of health reasons, wine was used for drinking purposes. Warning was issued about being given to wine in excess or for other purposes. A deacon, like every Christian, should avoid the evils of strong drink. Not greedy of filthy lucre. Men should not be lovers of money or covetous of it. Holding the mystery of the faith in pure conscience. It was necessary to have a clear understanding of the Word of God to stand for truth and to labor within its boundaries. Full of the Holy Spirit. Because the Holy Spirit dwells in us through faith (Galatians 3:14) and that faith comes through the word (Romans 10:17), the man would need to be guided by the word given by inspiration. Full of wisdom. Men charged with being deacons should be able to use common sense and good judgment in carrying out their assigned tasks. Husband of one wife. To be a deacon a man must have one, and only one wife. Ruling house well. The control of one's family is an indicator of ability to function in other areas. Of good report or blameless. One's reputation can help or hinder, depending on what is thought about that person by the community and the church. Very little detailed teaching is given to govern the selection of deacons. The brethren were told to ". . . look ye out. . . men. . . whom we (apostles) may appoint. . . " (Acts 6:3).Whatever approach is used, leaders of the church should involve the membership in suggestions and approval of men to serve as deacons. The context of Acts 6 reveals that the needs and circumstances of a given situation will determine when deacons are appointed and how many are required. All the work of the church, including that of deacons, is overseen by the elders (Acts 20:28; Hebrews 13:7,17). The deacons have authority only as they are assigned to be "over" some specific "business" (Acts 6:3). Each deacon should be delegated responsibilities which are clearly understood by the deacon, the elders, and the congregation. Deacons may assist the elders by performing assignments in all scriptural works, particularly material, physical, benevolent, and mission areas. Many congregations suffer because deacons, as well as others, will not perform. Important programs of work accomplish little or nothing if left on paper or in the memory of a conversation. Until a task is assigned, a deacon can not function; however, when the request is given, he needs to move on to see that the job is done. Working within the guidelines of the desires of the elders, a deacon must be willing to make decisions and put forth immediate efforts to begin and complete his assignment. The work of the deacon is important. He is not an elder, may never be qualified as an elder, and need not necessarily use his office as a stepping stone to be an elder. He can serve as a deacon, recognizing the value of that service. Deacons need to function regularly and be appreciated for their work's sake. When deacons have used the office well, they "purchase to themselves a good degree, and great boldness in the faith. . . " (1 Tim. 3:13). Good deacons are a blessing. When they were appointed and did their work in the setting of Acts 6, the complaining stopped, the needs were met, the Word increased, the disciples multiplied, and the deacons grew in faith and service (Acts 6:7-8). Just as the church today needs good elders to lead, it also needs competent, willing deacons to serve. What two extremes involving deacons exist today? Does the meaning of the word "deacon" suggest the type of duty he has? What biblical authority do we have for deacons? Discuss the different types of qualifications required of men who can serve as deacons. What is the scriptural relationship between elders and deacons? What assigned duties can deacons perform?